The innovative Microline TTLs (Through-the-Lens), feature a modern, inventive loupe design that allows them to be extremely lightweight at 36 g, without sacrificing features or performance. 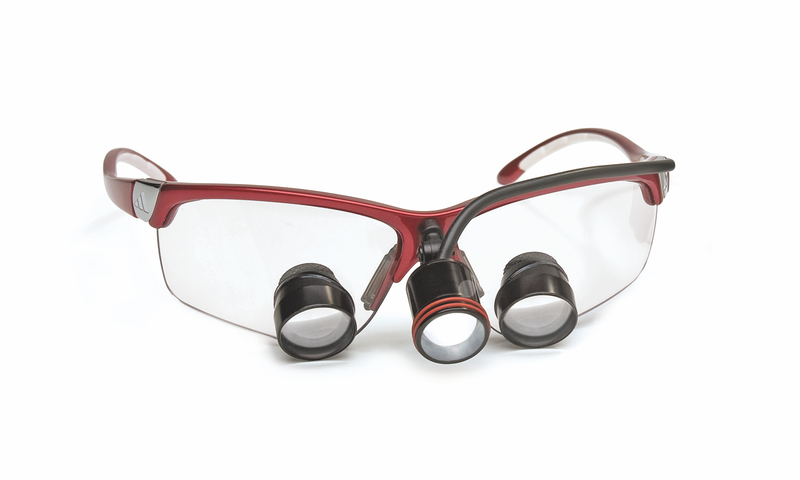 Lighter, smaller optics provide the clinician all-day comfort with less fatigue, even though the MicroLine TTLs feature a field of view and image quality in line with larger, heavier loupes. MicroLine TTLs are available in Adivista (shown above) and Ultralight Titanium frames. The stylish Adivista frames provide protection and style, while featuring a high-definition compact lens design, 3-way adjustable side temples, 2-position padded silicone nose pad, and are prescription ready. The Ultralight Titanium frames feature a more classic aviator style, constructed from 100% titanium for strength and durability.